July 11, 2015 July 11, 2015 / Steve M.
Collation: 200 pp. No signatures, but [1-12]8, 4. Printed on white wove paper. Contents: pp. [1,2] blank. p. , MY MOTHER| TAUGHT ME | by tor kung [two typographic fig leafs], reverse blank. p.  title, as above. p. , Printed in Denmark | June 1963 by Behrndt Offset. 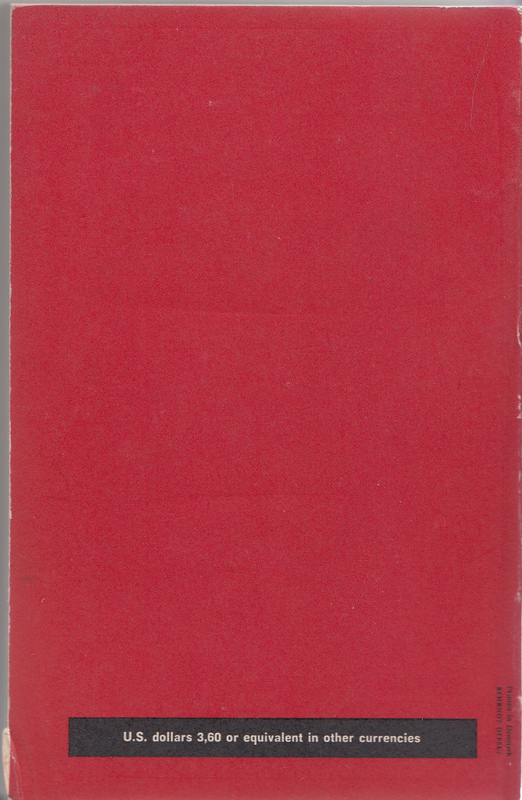 Copyright by the Odyssey Library | © 1963. All rights of reproduction in all countries strictly re- | served. Any infringement of copyright will be prosecuted. pp. 7-198, text. pp. [199-200] blank. 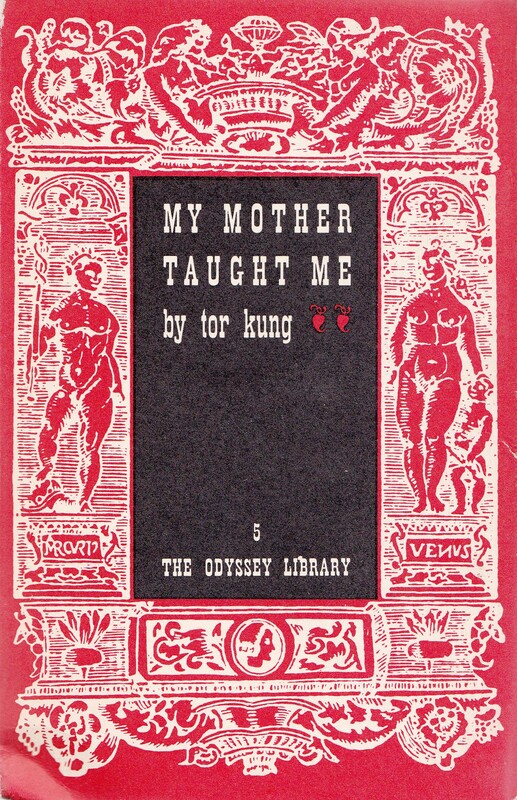 [Spine; within a white, black-edged panel, the title and author lettered in black down spine:] MY MOTHER TAUGHT ME by Tor Kung. [Backwrapper; at foot, lettered in white within a solid black panel:] U.S. dollars 3,60 or equivalent in other currencies. [Printed in small black type at bottom right of backwrapper and at 90° to price panel:] Printed in Denmark | BEHRNDT OFFSET. Note: Published later by the New York Olympia Press. ← Books Wanted Ephemera: The Teasers.